Today, SICPA is owned and managed by the third generation of the Amon family, which embodies the company's values of excellence and entrepreneurship with the same pioneering spirit and sense of responsibility of their father and grandfather. Throughout its history, SICPA has dedicated itself to helping governments, central banks, high-security printers and industry find comprehensive solutions to widespread security issues. In a world where no document or product is immune to counterfeiting, alteration or smuggling, our business has expanded from protecting most of the world’s currency to providing secured identification, traceability and authentication solutions and services. SPARK® Live creates new dynamics of optical security. SPARK® feature is used in more than 40 countries for the protection of banknotes and ID documents. Progressive release of the euro series “Europa” (5€ in 2013; 10€ in 2014) with SICPA security inks and features. Development of machine-readable ink technology NEOMAG®. Development of machine-readable ink technology NEOMAG® in cooperation with a Central Bank for banknote authentication. Awarded “Best New Currency Feature” in 2013. 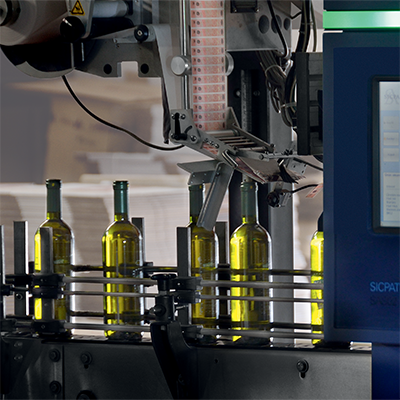 Numerous traceability solutions implemented worldwide. 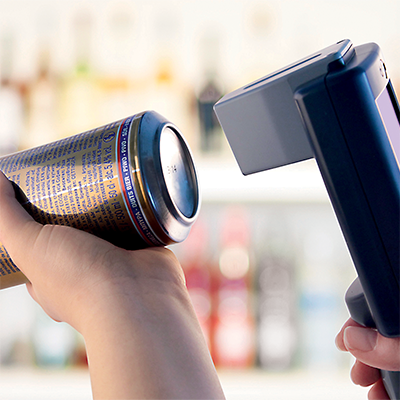 Implementation of SICPATRACE® for example in Morocco (tobacco, alcohol and soft drink products), in Massachusetts (tobacco products), in Albania (tobacco, alcohol and pharmaceutical products), in Georgia (tobacco and alcohol products) and in Kenya (alcohol and tobacco products). 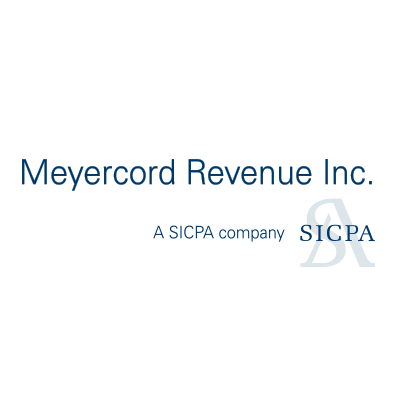 SICPA acquires US-based Meyercord Revenue Inc to strengthen its position in the tax stamp market in North America. 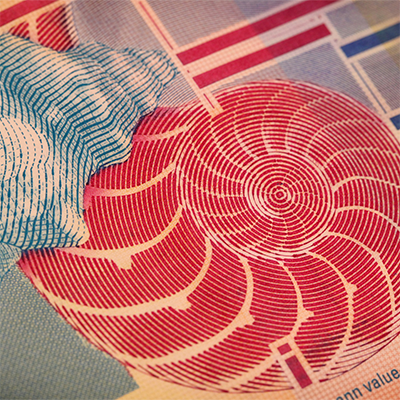 First dynamic colour-shifting ink, SPARK®, applied on banknotes. 1st SPARK® ink technology applied on banknotes: in China to celebrate the Olympic Games and in Kazakhstan to mark the 15th anniversary of the national currency. Turkey and Brazil are the first countries to implement a secure product identification, traceability and tax reconciliation system – SICPATRACE®. Launched in 2007 and exclusively designed to meet the specific needs of governments, SICPATRACE® is a multiproduct, multifunctional solution that integrates product authentication, production monitoring and secure track & trace functions. Implemented in various countries, these production-monitoring systems secure products and support government legislation to successfully fight counterfeiting, illicit trade and tax evasion. Divestment of packaging ink business to focus on security inks and integrated security solutions. 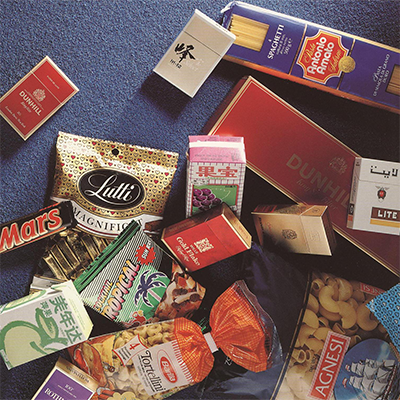 SICPA was one of the world’s biggest producers of printing inks for the packaging industry, operating branches and production plants in 36 countries all around the globe. In 2001, SICPA Product Security Division is established. Development and supply of integrated product authentication and traceability solutions to governments and brand owners. Since then and in response to the massive increase in the illicit trade of goods and industrial counterfeiting, SICPA has developed a strong position as creator of integrated product authentication and traceability solutions for governments and brand owners. 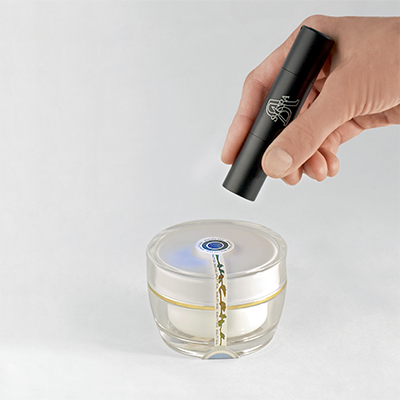 These solutions combine material-based security ink technology with information-based secure tracking & tracing technology. 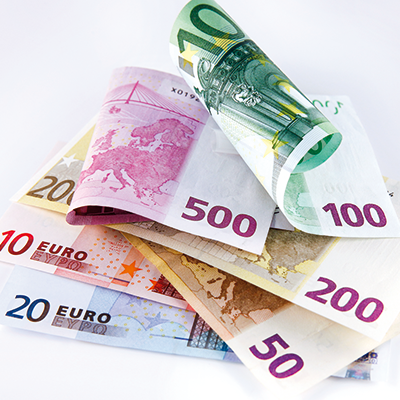 Participation in the development of the first series of euro notes. SICPA will then provide security inks for the new euro launched in January 2002. 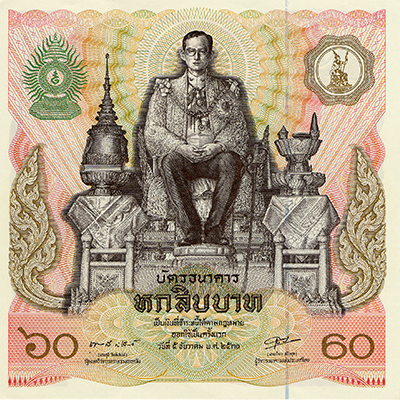 First note issued with OVI®, colour-shifting ink, in Thailand. 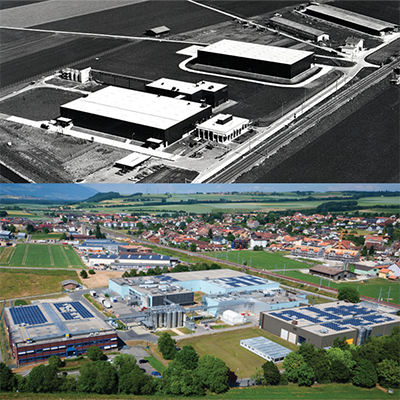 In the 1980s and 1990s, SICPA expanded further in Europe and Asia. 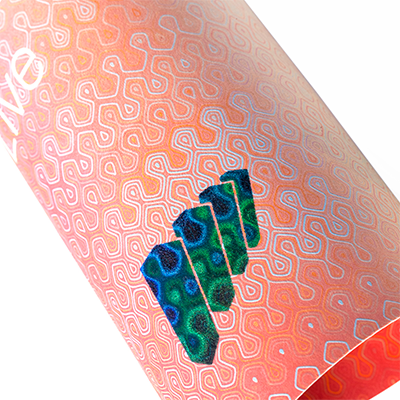 The company created OVI®, a colour-shifting ink and anti-copying security technology which has become a reference in the industry. First contract with the USA. First ink supply contract with the U.S. Bureau of Engraving and Printing. Development of new generations of water-wiping inks and non-setoff intaglio inks as well as UV inks and varnishes for offset printing. Expansion in North America and South America. 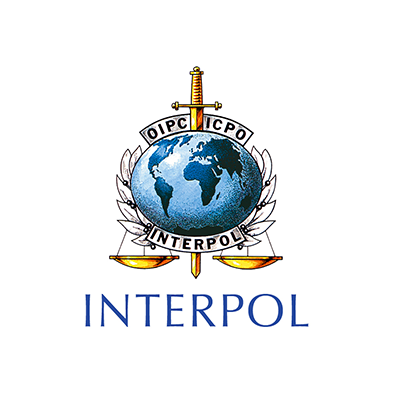 SICPA’s standards of print quality and security ink properties are adopted by Interpol. 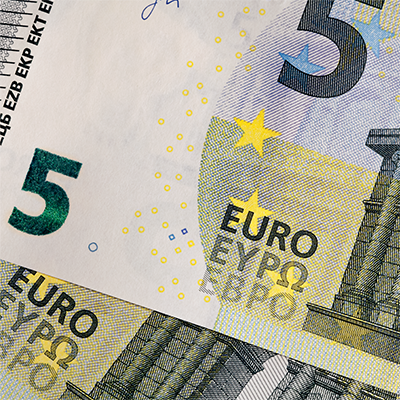 On its own initiative, SICPA defined standards for the print quality and the chemical and physical resistance of the inks in order to ensure that printed banknotes were suitable for circulation in the most demanding climatic and cultural conditions. This work, monitored by the Lausanne University Institute of Criminology, was endorsed by Interpol in 1969. 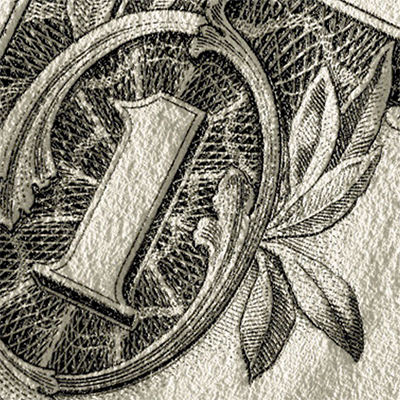 The norms it established were adopted by banknote printers worldwide and are still valid today. 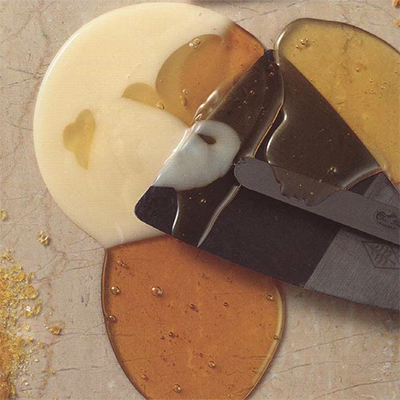 Established pan-European operating presence; development of intaglio security inks. In the 1950s and 1960s the company expanded in Europe and overseas, almost exclusively focused on the production of printing inks. 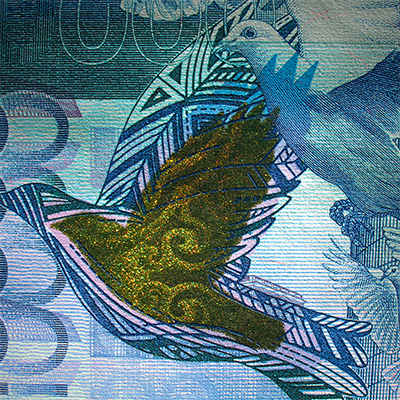 Its research in ink chemistry and formulation enabled SICPA to supply new intaglio security inks for currencies and to establish quality standards. First security inks applied on the Spanish peseta. 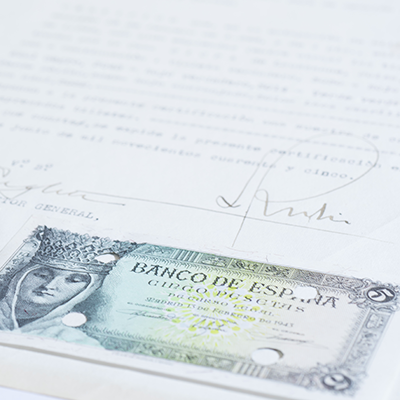 SICPA produced its first supplies of security inks in the 1940s for the Spanish peseta banknotes. Under the leadership of Maurice's son, Albert Amon (1916-2010), the company earned a reputation for stability based on a long-term vision. A gifted and charismatic communicator, Albert Amon succeeded in forging long-term partnerships with industry leaders and is recognised as one of the pioneers who raised the security inks industry from the banknote-crafting model of the 1950s to its current level of professionalisation and sophistication. Beginning of printing inks’ production. 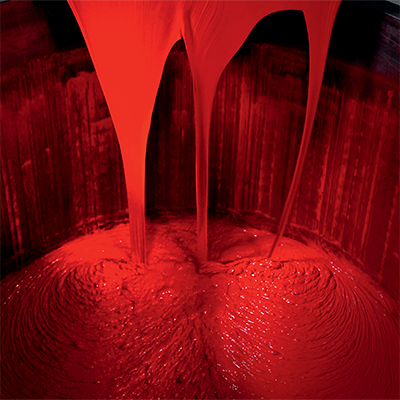 Production of commercial inks for offset, letterpress, newsprint. 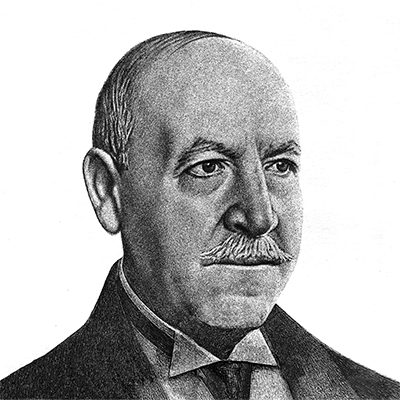 Founded by Maurice Amon (1880-1959), the Swiss company started by supplying the agricultural and food industries with its main product, a special fat used in the milking of cows. The quality of Swiss milk and cream was already internationally appreciated and used in Switzerland’s famous chocolate and cheeses. 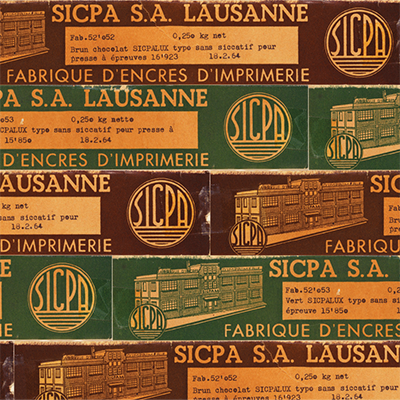 Originally meaning “Société Industrielle et Commerciale de Produits Alimentaires” (Industrial and Commercial Food Products Company), the acronym SICPA was subsequently used as the company name.